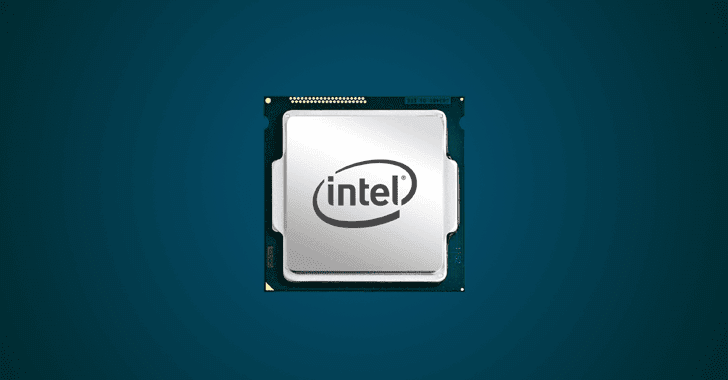 A team of security researchers has reportedly discovered a total of eight new "Spectre-class" vulnerabilities in Intel CPUs, which also affect at least a small number of ARM processors and may impact AMD processor architecture as well. Dubbed Spectre-Next Generation, or Spectre-NG, the partial details of the vulnerabilities were first leaked to journalists at German computer magazine Heise, which claims that Intel has classified four of the new vulnerabilities as "high risk" and remaining four as "medium." The new CPU flaws reportedly originate from the same design issue that caused the original Spectre flaw, but the report claims one of the newly discovered flaws allows attackers with access to a virtual machine (VM) to easily target the host system, making it potentially more threatening than the original Spectre vulnerability. "Alternatively, it could attack the VMs of other customers running on the same server. Passwords and secret keys for secure data transmission are highly sought-after targets on cloud systems and are acutely endangered by this gap," the report reads. "However, the aforementioned Spectre-NG vulnerability can be exploited quite easily for attacks across system boundaries, elevating the threat potential to a new level. Cloud service providers such as Amazon or Cloudflare and, of course, their customers are particularly affected." If you're unaware, Spectre vulnerability, which was reported earlier this year, relies upon a side-channel attack on a processors' speculative execution engine, allowing a malicious program to read sensitive information, like passwords, encryption keys, or sensitive information, including that of the kernel. Although the German site did not disclose the name of the security researchers (or the team/company) who reported these flaws to Intel, it revealed one of the weaknesses was discovered by a security researcher at Google's Project Zero. The site also claimed that the Google security researcher reported the flaw to the chip manufacturers almost 88 days ago—which indicates the researcher would possibly reveal the details of at least one flaw on May 7th, when the 90-day disclosure window will be closed, which is the day before the Windows Patch Tuesday. Responsibly disclosing Spectre NG vulnerabilities to vendors is definitely a good practice, but it seems the researchers, who discovered the new series of Spectre-class flaws, are avoiding their names to come out early—maybe to prevent media criticism similar to the one faced by CTS Labs after they disclosed partial details of AMD flaws with dedicated website, beautiful graphics, and videos. "Protecting our customers' data and ensuring the security of our products are critical priorities for us. We routinely work closely with customers, partners, other chip makers and researchers to understand and mitigate any issues that are identified, and part of this process involves reserving blocks of CVE numbers." "We believe strongly in the value of coordinated disclosure and will share additional details on any potential issues as we finalize mitigations. As a best practice, we continue to encourage everyone to keep their systems up-to-date." "The CVEs are currently only naked numbers without added value. On the other hand, their publication might have meant a further risk to our sources that we wanted to avoid. That's why we decided against it at the moment. We will submit the course, of course." The Spectre-NG vulnerabilities reportedly affect Intel CPUs, and there are also indications that at least some ARM processors are vulnerable to the issues, but the impact on AMD processors has yet to be confirmed. According to the German site, Intel has already acknowledged the new Spectre-NG vulnerabilities and are planning to release security patches in who shifts—one in May and second is currently scheduled for August. However, it’s currently unknown if applying new patches would once again impact the performance of vulnerable devices, just like what happened with the original Spectre and Meltdown vulnerabilities earlier this year.